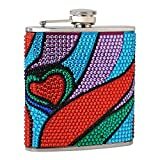 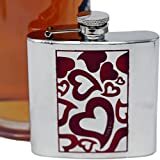 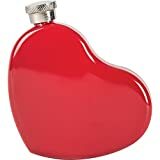 The Heart-Shaped Flask is a unique red-lacquered stainless steel flask that holds four ounces of your favorite poison love potion. 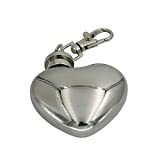 It features a hinged screw-off cap and a chain to hang it from your belt, keys, etc. 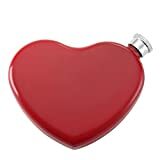 Now I know why the Tin Man in the Wizard of Oz really wanted a heart!